I was inspired by a meme I saw on-line last week; a list of simple rules that everyone should agree with—anyone with common sense, that is. I fiddled with the wording and added a rule or two that I thought was missing. So grab a cup of coffee, sit back, and enjoy. 1. Live beneath your means. 2. Return everything you borrow. 3. Stop blaming other people for your circumstances. 4. Admit when you make mistakes. 5. Give your used but still good clothing to charity. 6. Do something nice for someone without them knowing. 8. Listen more; talk less. 9. Walk for 30 minutes every day. 10. Strive for excellence, not perfection. 15. Be kind to all people. 16. Be extra kind to unkind people. 17. Let someone cut ahead of you in line. 18. Take time to be alone so you can get to know who you are and what you believe. 21. Realize and accept that life isn't fair. 22. Know when to keep your mouth shut. 23. Go an entire day without criticizing anyone. 24. Learn from your past; plan for your future. 25. Live in the present. 26. Don't sweat the small stuff; it's all small stuff. Are there any rules you would add? 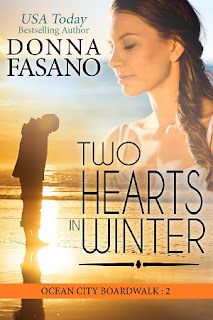 Look for my new book, TWO HEARTS IN WINTER! It's available for Kindle, Nook, Kobo, iBook, and Google Play. Coming soon in paperback. USA Today Bestselling Author Donna Fasano has written over 30 romance and women’s fiction novels. 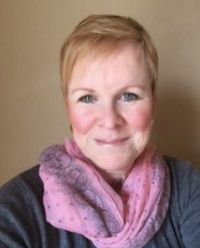 Her books have won awards and have sold 4 million copies worldwide. Her work is available in paperback, audiobooks, and ebooks for Kindle, Nook, Kobo, iBooks, and Google Play. Learn more about her at her blog, check out her books, and connect with her on Facebook,Twitter, and Pinterest. She loves to hear from readers. 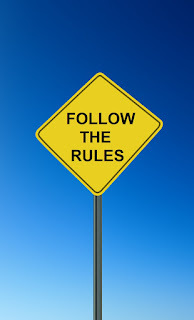 Labels: A common sense life, Follow The Rules, Rules for a Good and Simple Life, Why should we follow the rules? I grabbed my coffee and agree with everything on this list. Thanks, Donna! Thank you for stopping by, Josie! Thanks for the great list. Thank you for taking the time to comment, Merrillee. Your list is great, Donna! Great rules for living, Donna. Thanks for sharing! Spring Cleaning - Shaking Off the Dust Covers!